Well, Book One under category "Georgette Heyer" in my 999 Challenge is complete. And to be honest, it was the perfect way to kick off that category. The Grand Sophy is the story of the extremely social Sophia Stanton-Lacy, nicknamed the Grand Sophy by all who know her. While her father is away in Brazil, this bold young lady stays with her aunt, uncle, and cousins. While there, she plays match maker for her cousin Cecelia, wins over her younger cousins by giving them a monkey as a gift, and drives her eldest cousin, Charles completely mad. Naturally, this independent headstrong girl sends the Rivenhall family into an uproar as she is the talk of London society with her behavior. She becomes quite popular with everyone except for Charles, who loves to hate her and hates to love her. This story has love, humor, and paints a fantastic historical London scene! I absolutely loved this book. It is my second Heyer that I have read, after Cotillion. I've had this book recommended to me by anyone who has read it. And I will now pass on the gospel: If you enjoy Heyer, you should definitely read this! If you enjoy historical fiction, you should definitely read this! If you would like to have an easy entrance into authentic historical fiction, you should definitely read this! In case you haven't gotten the point, I think that you should read this book. A quick side note, please make sure to vote in my poll. So far, Edward Cullen is crushing the competition to be the most swoon-worthy literary character! Well I've finally gotten around to reading Bridget Jones's Diary by Helen Fielding. I adore the movie and had always wanted to read the book. It fits into my 999 Challenge under "Chick Lit." Once you get used to Fielding's style of writing (lots of fragments and segmented thoughts), the book really begins to read quickly. The greatest part for me is that I can hear Renee Zellweger's voice saying each line. She really did an amazing job portraying Bridget. And of course, there's always the funny coincidence that Marc Darcy is compared to Mr. Darcy, both of which are played by Colin Firth. As the title suggests: it's dashing good fun. 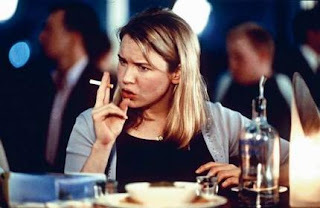 Anyways, the story is about Bridget Jones and her never-ending quest towards achieving self-improvement. She vows not to smoke, though the next day she inhales 36 cigarettes. She promises to lose weight, but eats an entire cake that evening. She absolutely will not get involved with another man who she knows will treat her badly, yet the first man she falls in love with is her emotionally unavailable boss. In short, she's just like the rest of us. But funnier. It's light and will hold you interest. Although, I will warn you, if you did not like the movie, you will not like the book. I am currently reading my second Georgette Heyer novel, The Grand Sophy. I barely put it down to write this post. It's really wonderful. If you've never read any Heyer before, I would highly recommend beginning with this book. Review will be up as soon as I finish! This is the classic story of Jane Austen's Persuasion but follows Captain Wentworth's point of view. It begins when he first met Anne before returning to the Navy. Amanda Grange's writing is easy to follow and has an easy flow to it. It's a good way to revisit Austen's novel without actually rereading it. Wentworth's famous letter to Anne was done beautifully and gives an interesting interpretation of the way in which things happened. I adore retellings of classics as long as they are done well and do not try to be better than the actual classic. Grange does that. She writes well and stays true to who Austen designed the characters to be, but does add her own twists. She introduces us to Wentworth's brother, Edward, who was only mentioned in Austen's original work. It is also a real treat to get a chance to imagine what transpired between Anne and Captain Wentworth upon their initial meeting, during his proposal, and finally during the rejection. Grange also finally gave a real insight into Captain Wentworth's feelings about Anne, her family, Louisa Musgrove, and his friends. Overall, I enjoyed this. And while the scene regarding his letter was done beautifully, it lacked the ability to conjure tears as Austen was able to do. This was my second book by Grange, and I did enjoy it. I'll read more of her work. I also read this as part of my 999 Challenge, under "Other Historical Fiction." Valentine's Day may have a reputation for being an excuse for greeting card companies to make money, but I still think it is a fun excuse to celebrate your love for someone. 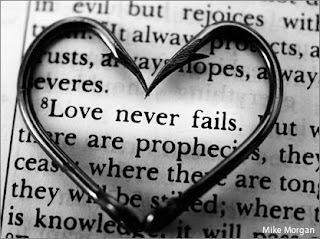 Whether that someone is a husband, boyfriend, best friend, or family member, it's always important to tell that someone that you love them. So in the spirit of Valentine's Day, I decided to think back on some of my favorite couples in literature. Some of them have burning passion for each other. Others more or less have love that appears to be obsession. And others just seem to be the perfect married couple. Whatever they are, these couples bring a smile to my face and represent what love is. Who's your favorite couple? If your book collection were on fire and you could only save three books from burning, which three would you save and why? 1. Harry Potter and the Deathly Hallows - I could never part with this book. It's adventure, a little romance, and is just an emotional roller coaster. I told you that it makes me feel like I am incredibly juvenile, but I really do enjoy reading about Harry's adventures, and this book is the one that I would definitely hold on to assuming that I would never be able to replace my books if they were lost for some reason. 2. Pride & Prejudice - It's historical fiction and romance, what more could a girl ask for? I love the story of Elizabeth and Mr. Darcy's romance, not to mention Jane Austen's writing. I've read this story quite a few times and have seen movie versions more often than I can count. I don't think that I could ever part with my copy of this book. It would be a tragedy to lose such a wonderful novel. 3. Twilight - Again, it is a juvenile choice, but this book won my heart the first time I read it. It's no wonder either, since Stephenie Meyer wrote it with influences from Austen's Pride & Prejudice. Edward Cullen is the greatest literary "heartthrob" since Fitzwilliam Darcy, in my humble opinion. Yes, I definitely would have to save this book also. I invite all of you out there to address this question! Which three books would you save from your collection if there was no hope of ever replacing them?